Gold-plated Rolex’s. Fur capes for his wife. Jimi Hendrix memorabilia. 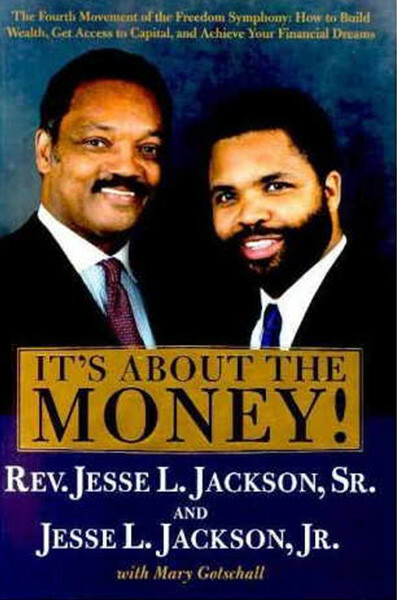 Today, Rep. Jesse Jackson Jr. (D-IL) pled guilty to stealing nearly $1,000,000 in campaign funds to purchase the above items – and that’s just to name a few. Former Rep. Jesse Jackson Jr. (D-Ill.) pleaded guilty on Wednesday to federal charges that he used $750,000 worth of campaign funds for personal purchases. Jackson appeared at a federal courthouse in Washington, D.C., to make his plea. Jackson’s wife, former Chicago Alderwoman Sandi Jackson (D), also appeared in court, and is expected to plead guilty to misstating her and Jackson’s income on tax returns. The negotiated plea agreement Jackson admitted to includes conspiracy to commit wire fraud, mail fraud and giving false statements. “I am guilty, your honor,” Jackson said, according to ABC News. Jackson now faces between 46 and 57 months in prison. Despite these pending charges and his treatment for bipolar disorder and exhaustion, Jackson won re-election in his district with 63% of the vote; a fact that speaks volumes about the level of corruption in the state of Illinois.